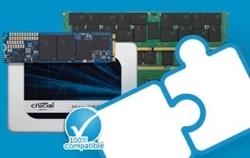 If you've noticed problems with your computer starting up slowly, taking a long time to load programs and movies, or if you're tired of the upkeep of a hard disk drive, defragmenting and being careful not to bump it while it's running, it might be time to upgrade to a solid state drive. SSDs start up more quickly and load games, applications, and movies faster. They're also more durable, use less energy, and produce less heat than an HDD. Upgrading to a solid state drive is not hard. 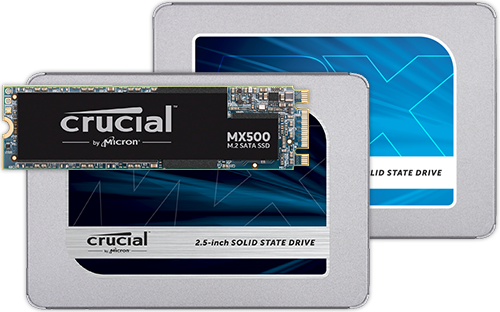 Use the Crucial® Advisor™ tool or System Scanner tool to determine the SSD to order, then follow the instructions below to install your drive in a Microsoft® Windows® computer. For instructions on how to install an SSD in a Mac®, click here. You can watch this video of the steps or read below for instructions on how to install a solid state drive. Be sure to move any data you want from your existing drive to the new drive before you install the new drive. Remove any plastic bags or papers from your work space. When your system has been powered off, unplug the power cable. Refer to your system’s owner’s manual for how to do this. This is an extra safeguard that protects your drive and components from static damage during the installation process. Refer to your owner’s manual for the exact location and note the size of the bays. Some storage bays and existing hard drives are significantly larger than a standard size SSD. If this is the case in your system, you’ll need a 2.5-inch to 3.5-inch converter to make the SSD fit snugly. Remove your old drive and disconnect any cables and brackets attached to it. Don’t force the connection – it should plug in easily and fit snugly. To install the SSD as a secondary drive (not your primary or boot drive), use a SATA cable and attach one end of the cable to the SATA connector on your motherboard. Attach the other end of the SATA cable to your Crucial SSD. Then, use an available SATA power cable coming from your system’s power supply and connect the cable to your Crucial SSD. For either type of install, consult your owner’s manual for how to remove an existing drive (if necessary), and how to handle the cables. 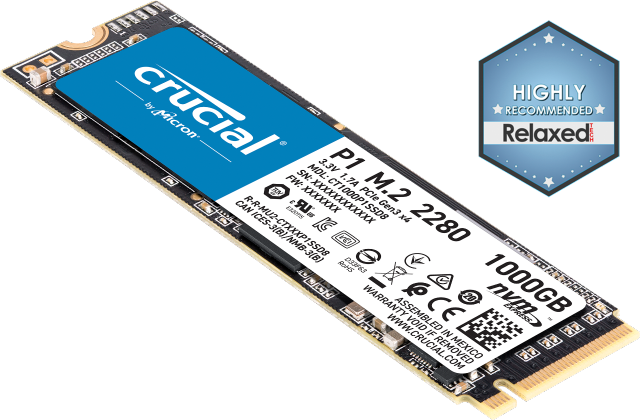 You will notice faster boot-up times and loading, less heat and power consumption, and an overall improvement in performance. ©2018 Micron Technology, Inc. All rights reserved. Information, products, and/or specifications are subject to change without notice. Neither Crucial nor Micron Technology, Inc. is responsible for omissions or errors in typography or photography. Micron, the Micron logo, Crucial, and the Crucial logo are trademarks or registered trademarks of Micron Technology, Inc. Mac is a trademark of Apple, Inc., registered in the United States and/or other countries. Microsoft and Windows are trademarks of Microsoft Corporation in the U.S. and/or other countries. All other trademarks and service marks are the property of their respective owners.